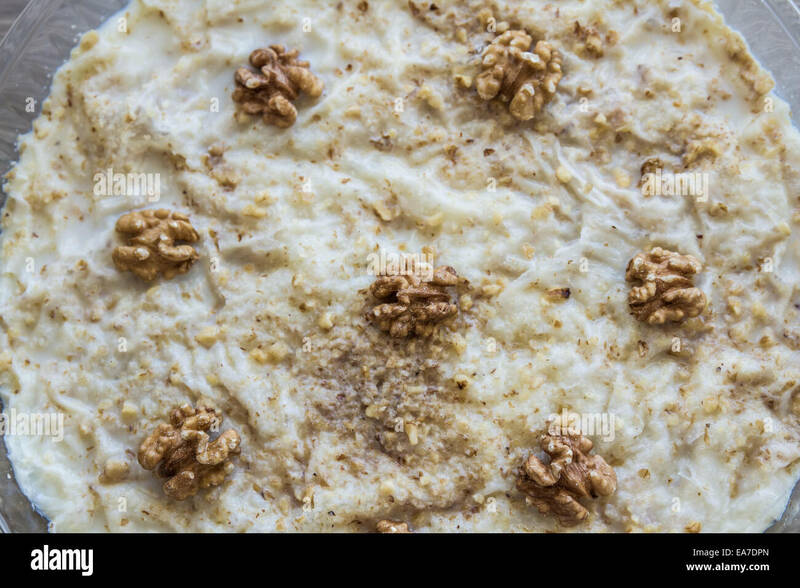 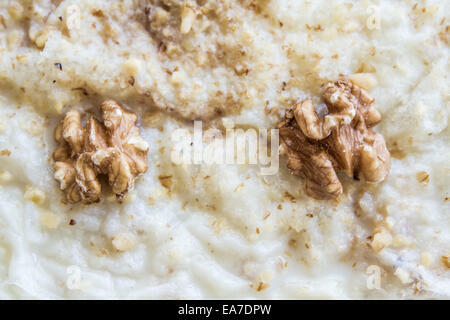 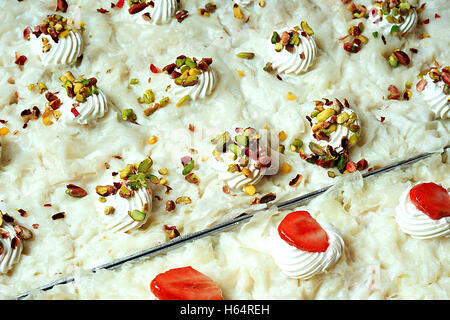 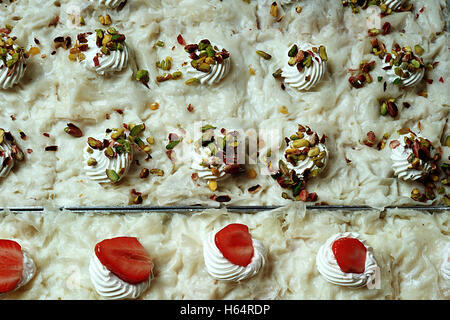 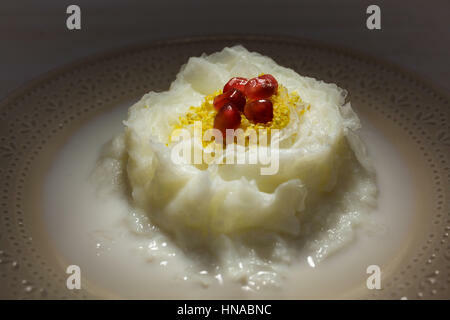 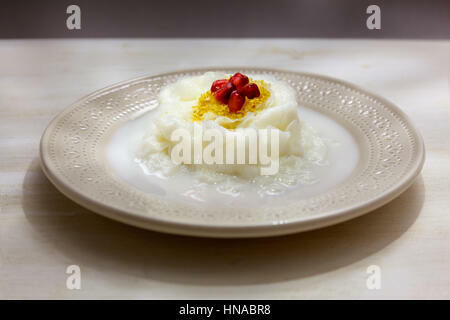 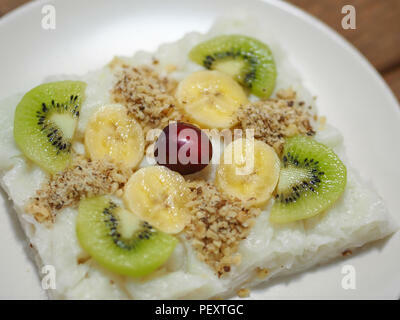 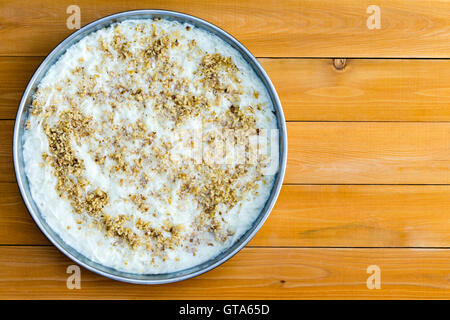 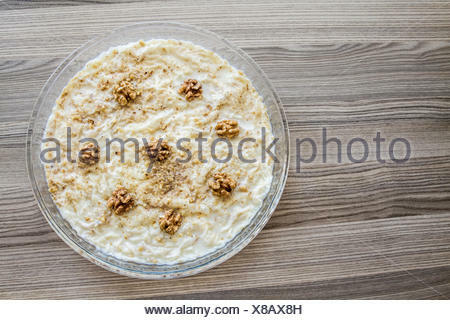 Traditional Ramadan Dessert Gullac.It is made with gullac, milk, rose water, walnut, vanilla. 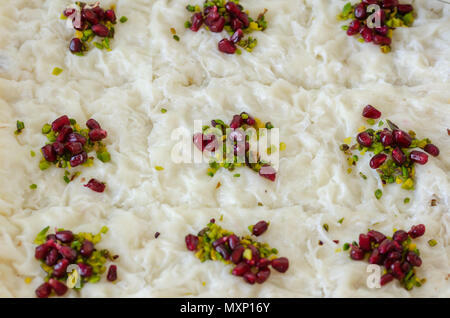 It is decorated with pomegranate and pistachio. 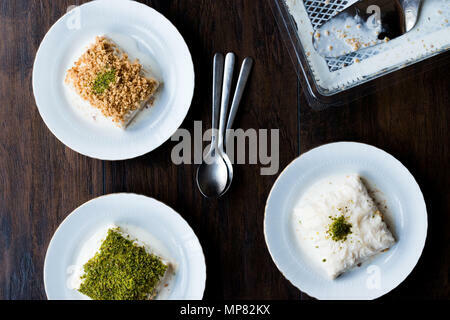 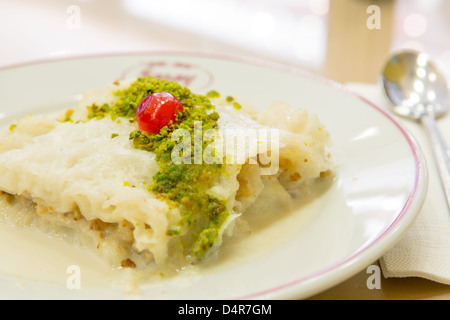 Turkish Milk Dessert Sutlava made with Gullac and Dairy Baklava Dough. 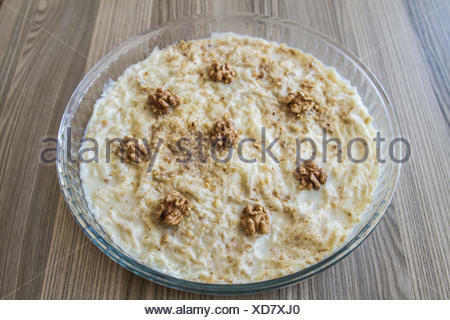 Traditional Dessert.